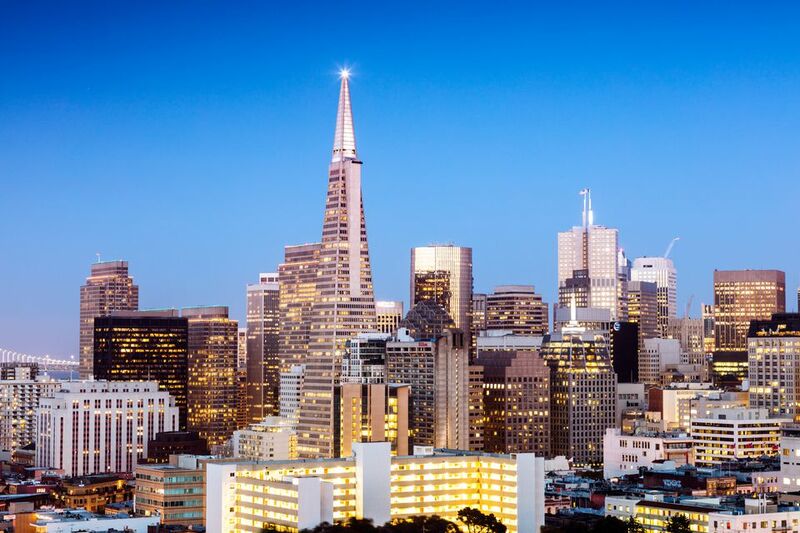 October is one of the best months of the year to visit San Francisco. The weather is warm and clear, with none of the annoying summer fog that keeps things cloudy and cold-feeling. The tourist crowds are gone and everything is easier to get into. October stays warm and days are often clear, but it's slightly more likely to rain (in general). In October, you can expect about 11 hours of daylight for exploring the city. If you want to compare October weather to other months, check the Guide to San Francisco Weather and Climate. Use the weather averages to get an idea of what things may be like, but it might be different when you visit. A winter day could even be so warm you'll wish you packed your shorts. Averages are helpful for planning ahead, but don't count on your trip being "average." Check the San Francisco weather forecast before you leave home. Italian Heritage (Columbus Day) Parade: This event is almost as old as the city itself. The parade runs along Columbus, ending at Washington Square. Hardly Strictly Bluegrass: This free music event in Golden Gate Park features performers like Elvis Costello, Boz Scaggs, and Emmy Lou Harris. Sand Castle Classic: At Ocean Beach, teams of sand sculptors build massive castles, fanciful masterpieces, and oversized creatures, using only sand and water. The Castro Halloween street party ended several years ago, but down in Half Moon Bay, there's big Pumpkin Festival that draws tons of visitors (and some of the world's largest pumpkins). Fleet Week: The air shows (which often feature the Blue Angels) are awesome, but there's more - including tours of visiting ships and a boat parade. October is blue whale and humpback whale season around San Francisco. Find out how, when and where in the San Francisco whale watching guide. October weather is also very nice in general, making it a good time to take a day trip drive up to Napa Valley or down to Monterey. With less fog and only a small chance of rain, light layers will usually be plenty. An extra jacket or layer will feel nice in the evening. Rainfall starts to become more likely, and it's always best to check the forecast. For a look at local events, check the San Francisco Chronicle's entertainment section. The Major League Baseball season runs from March through early October, and San Francisco has one of the prettiest stadiums around. If the San Francisco Giants are playing at home, watching a game is a fun way to spend a few hours. We like to go to afternoon games because it's warmer than night games. The San Francisco 49ers might be playing at home while you're there, but Levi Stadium is miles south in Santa Clara. Check the schedule at their website. The Oakland Raiders are closer, just across the Bay. So is Golden State Warriors basketball. Oracle OpenWorld happens toward the end of October. It’s one of the biggest conferences in SF taking up more than 200,000 hotel rooms and driving prices up. If you want to visit then, book your hotel as far ahead as you can. What Are the 7 Hills of San Fransisco?